Industrial design end table can be the most stylish furniture piece for any interior. Its construction involves the use of mango wood for a square smooth finish top and iron for its base stand. 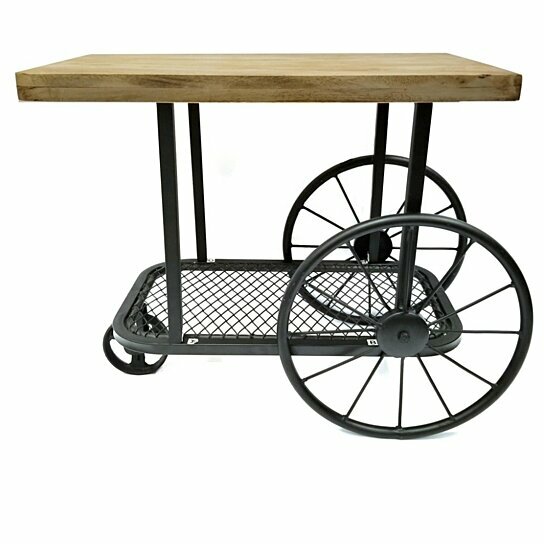 Its metal base stand shows amazing craftsmanship with two large, one small wheels along with a lower wire mesh shelf. This end table is best to adorned in your home or office interiors.